Tickets for Woodstock 50 were intended to go on sale today, but have been indefinitely put on hold. News about the postponement broke this weekend, as booking agents were informed of the delay and brought the news to Billboard. Now, according to Pitchfork, the reason for the postponement is due to the lack of a “mass gathering permit” from the village of Watkins Glen, where the festival is supposed to take place. Without a permit, tickets can’t go on sale. Festival organizers maintain that the event, which will be headlined by The Killers, Jay-Z, Dead & Company, Miley Cyrus, and more, will not be cancelled. Weekend two of Coachella wraps up tonight, and with it, the epic Coachella season. Stagecoach will return next weekend as the next Goldenvoice festival in the area, along with Staff Pro event security. However, reports of contracted security experiencing race inequality, abhorrent living conditions, and little to no accommodations from staff have begun to spread after a couple of workers became fed up. Antonio Cannady, who worked as festival security under Staff Pro, subcontracted to BMW Nationwide Security, wrote a long account of the working conditions that he eventually sent to The Daily Beast. In it, he describes how workers, many of them destitute upon arrival, were forced to sleep on hard, wet grass as they either couldn’t afford a tent or it blew away in the wind. As for the accounts of racism, Cannady included photos of the lot he was staying in compared to “their lot,” a comparatively pristine assortment of bespoke tents for the majority-white security staff. Cannady is African-American. Head here for the full exclusive on Daily Beast, and Cannady’s own account here. It’s not every day you see Gordon Ramsay hop behind the decks and put on a pair of headphones. In fact, I’m pretty sure this happened for the very first time last night alongside Loud Luxury. He might not have actually DJ’d at all, but it was one hell of an epic special guest appearance nonetheless. Watch below and FOMO with me on this one. Illenium is well known as one of the nicest, most genuine artists in EDM. So, upon having to cancel his recent tour leg, Nick aka Illenium has taken to social media to explain why to disappointed fans. In his post, he explains that his girlfriend suffered a “major health issue” that left her hospitalized for 5 nights. Refusing to leave her behind, Illenium was forced to cancel his shows but insists they will be rescheduled soon! We stan a man who takes care of his women. Hope she gets well soon! Due to unforeseen circumstances unfortunately I need to postpone my upcoming performances in London, Cologne, and Haag. We will look to reschedule them as soon as possible. Refunds can be obtained at point of purchase. 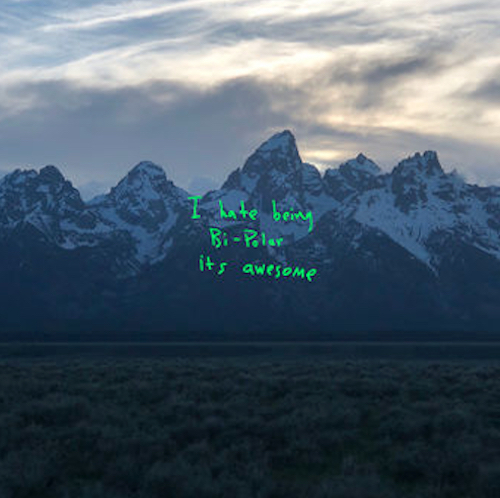 This weekend the guest appearance making all the headlines comes in the way of Kanye West surprising everyone during Kid Cudi’s set to perform as Kids See Ghosts, their collaborative project. Don’t worry if you missed the live stream or weren’t at Coachella, we have the video for you below. Our hearts ache today, exactly one year after Tim Bergling, famously known as Avicii left this world behind. The beloved DJ/producer suddenly and tragically passed away on April 20, 2018, taking his own life. Coping with death is never easy, but it’s especially difficult to lose someone so intensely admired and cherished to suicide. Today, our deepest sympathy goes out to his family, friends, collaborators, and anyone who had the privilege of knowing Tim on a real level. His music has touched us and the entire EDM community beyond words. Countless DJs and musicians of all kinds are remembering Avicii — today and always. DJ Snake, Laidback Luke, Alison Wonderland, Nicky Romero and many, many more. See some of the touching posts below and take a moment today to remember a legend. share this for someone who might really need these phone numbers right now. share this in memory of Avicii. 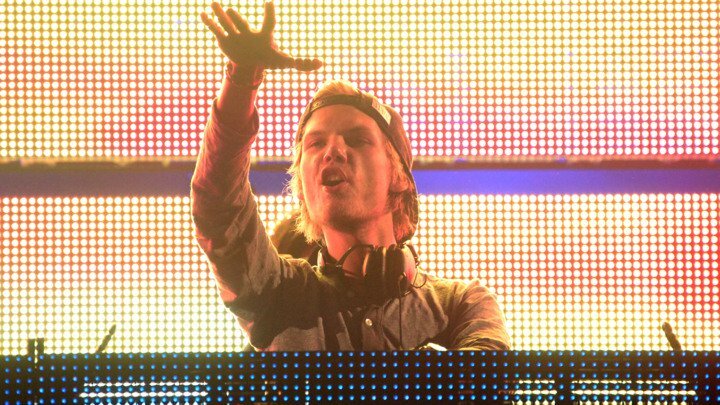 It’s been a year, and @avicii is still missed. "One day you'll leave this world behind so live a life you will remember"
Damn, I can’t believe it’s been 1 year since we lost Avicii…mental health has got to be the #1 priority now people. Even dream jobs have tough times and what you see online is NOT reality. In the race to see who can pay the most respect to the late Nipsey Hussle, Rick Ross has taken a novel turn. Ross has already obtained a new Nipsey Hussle tattoo -- like The Game, Lauren London and others have. But then he one-upped that, so to speak, by getting Nip's face painted on the elevator doors in his mansion. Nipsey and Ross go back. Nip almost signed with The Bawse and MMG, but ultimately decided he had to stay loyal to the team that was with him from the beginning. "I would have took that deal," Nipsey stated last year. "Even just outside of the terms, just how Ross hustles. I believe in Ross as a hustler. Everything he said and done, every convo we had, every time I sent a verse he executed it. So I got a lot of respect for Rozay, so I would have just done it off GP. But I got a team I committed to ahead of time, and I had to make sure they got the credit for what they did." We’ve been waiting for this! Just a few months ago, Skrillex had denied rumors of a new album, rumors started by Diplo, but it seems that’s all changing now. In a flurry of tweets the OWSLA head just semi-announced a new album – or a new project at least (he doesn’t know what to call it yet). The dance music community has been awaiting this for years so check out his tweets below and get hype, it seems this is just the beginning of Skrillex‘s resurgence. Been taking long time off working on my friends albums but more importantly myself. Been lots of rumors of an “album”. I don’t know what it is or what to call it…. As we approach the one year anniversary of Avicii’s death tomorrow, we begin to think back on the producer/DJ’s massive impact on not only dance music, but the world as a whole. While he’s certainly not the first artist who’s ended their own life, the loss of Avicii nonetheless stoked the fire under a lot of people to finally do something about it. In tribute to Avicii, Tomorrowland Radio tomorrow will be dedicating an entire day to remembering the beloved Swedish DJ & producer. Listeners can tune in to hear one of the many legendary Avicii tracks every hour and, at 14:00 CET, an hour-long best of Avicii mix will be played. If there’s any festival that demonstrates how much of an impact Avicii had on the world, it’s Tomorrowland. Tomorrowland – One World Radio is the official digital radio and content platform of Tomorrowland, available 24 hours a day and 7 days a week with the Tomorrowland app or on tomorrowland.com. What do you get when you cross tropical, tribal vibes with surf rock and drum and bass? The DnB world is about to find out with Bensley’s new single “Kilauea,” out today April 19 on RAM. While essentially a teaser single for his upcoming Muskoka LP due out in July, “Kilauea” brings heavy vibes on its own. A lot of DnB fans would never thought they’d hear a track opening with ukulele but in this genre, never say never. That indeed is what much of the intro is comprised of on “Kilauea,” along with a sort of ethereal and tribal-sounding vocal. When the main synth comes in, it’s sort of bubbly and sounds as if it’s comprised of keyboard tones from surf rock tracks. There’s some major sound design work going on here, and that bouncy synth actually ends up carrying the beat and turning the track into a bit of a roller. While “Kilauea” seems like it might be a little light to start, it will also definitely stand up on the dancefloor as it has a heavy yet steppy beat and some surprising phrase transitions: there’s a rolling foghorn sinewave, a punchy amen break and yet another surf rock sample, a descending guitar fret slide. With all this going on, one might think the track would feel busy or muddled but it doesn’t; it’s extremely balanced, interesting and completely novel. It’s exciting that Bensley’s getting ready to put out a new LP. While he’s released tracks since his epic debut album Next Generation, the DnB world has definitely been missing that block of Bensley style that no other producer can replicate. Stay tuned for more singles and more nature-inspired vibes leading up to the release of Muskoka. “Kilauea” is out now on RAM and is available to stream or buy on multiple platforms by clicking here.